Enjoying an idyllic holiday spent on the pristine shores of Kalutara, a charming seaside destination in Sri Lanka? Then do make sure to visit Richmond Castle, an iconic landmark for a dose of fascinating history! Built by a regional governor, Padikara Muhandiram, Richmond Castle was once a grand home built during the turn of the century in 1890. An iconic structure in the town, the castle drew inspiration from an impressive palace in India while also showcasing a decided Edwardian influence. Featuring a seamless blend of Indian and British colonial architecture, the sprawling two-storied mansion sits on 42-acres of land lush with fruit groves. The interior contains over 15 rooms, a vast audience hall, an intricately carved alloy spiral staircase, stained glass windows shipped from Italy, teak floors and bath ware imported from England. Exquisite motifs etched painstakingly adorn the ceilings as well as countless beams and pillars. 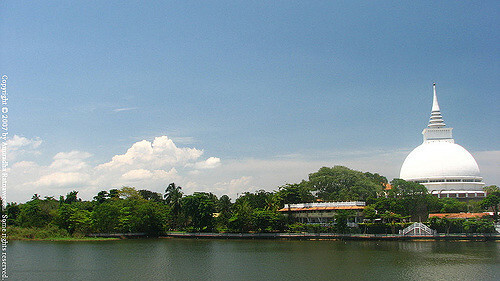 The mansion is located a mere 3km from the city centre in a village called Thekkawatta. It can be easily reached from many a Sri Lanka Ayurveda resort in the area such as Siddhalepa Ayurveda Health Resort Wadduwa. The site is open to the public from 08.00 a.m. to 04.00 p.m. Entrance tickets can be purchased by the gate for LKR.500, the proceeds go towards the welfare of orphaned children. Paying a visit during the weekends is well recommended as its less crowded!